Most times when you hear of women who grow up in situations where they are provided many privileges, you think spoiled. Well not for, Darian Martin. Although, Darian’s parents made sure that she never had to want for anything, she wanted to do things her own way. Early on, Darian decided that she would create her own path and provide for herself. While other girls were probably worried about boys, at the age of 15 she got her first job in order to gain independence. Today, Darian is a college graduate who is planning to gain her Masters, while also launching her nonprofit. Learn more below! Darian had a great childhood, better than most she would say. Darian was a shy and quiet child, always to herself, and even as an adult she still has some of those tendencies. Her parents never struggled and if they did, they did a great job of hiding it. They did eventually divorce and of course it affected her but everything happens for a reason and now as an adult, Darian understands why that happened. Her grandparents were also a major source of support and motivation for her. They are her “goals” and the main reasons Darian has some of the goals she has set for herself today. Most people would call her “spoiled” or “silver spoon fed” but being raised, not having to want for anything has made her a woman who wants to do stuff on her own. Darian got her first job at 15, because she wanted her own money and financial independence. Knowing her family will help any time she needs it, is great, but Darian has always wanted to get her hands dirty and work for the things she wants. Personally, she hates all of those questions. She also hates the 9-5 “work ‘til you die” expectation. It is a lot of pressure on her, especially at the time in her life when she is deciding what she wants to do for the rest of her life. On top of that she is on a journey of top finding herself and her purpose. People always ask what can she do with her major, which is Sociology. It’s kind of insulting to her because people don’t know what it is, and since it is not a STEM major, they think it is worthless. But it is one of the only things that interests her and she has done her research and Darian thinks people should respect that. The hardest thing for her is just getting people to understand that she is still growing, and she is moving at her own pace. Darian has other ideas in mind that she’s working on. 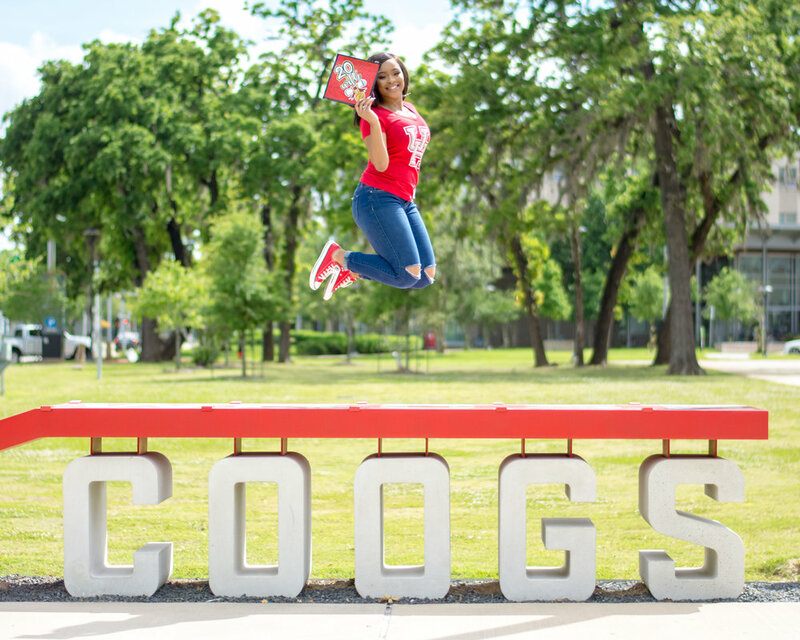 They say college is the best time of your life, and now that she has graduated, Darian can see that! Of course she has had struggles and moments where she wanted to give up, but Darian didn’t. At one point in her college career she was working, doing an internship and going to school. She says it was very stressful! In hindsight it taught her how to balance multiple things and taught her how to work well under stress. The only other thing Darian can say about college is that she wishes she had made more friends and even did more networking. She’s learned that who you know can be more important than what you know. If she would’ve known that, she would’ve gotten out of my box a little more. Darian is currently working on a few things! She plans to go back to school for her Masters in Social Work in 2019. She never thought she would want to go back to school but she says she actually misses it and needs it! Darian also plan on promoting her nonprofit organization that she will be launching soon! She expects 2019 to be a very productive year for her. She just knows it will be filled with blessings as long as she keeps her faith strong!